And we understand that planning the perfect destination wedding starts with finding the perfect planner. At Arluis, our planners have the expertise, imagination, and warm compassion to turn your paradise dream into reality. 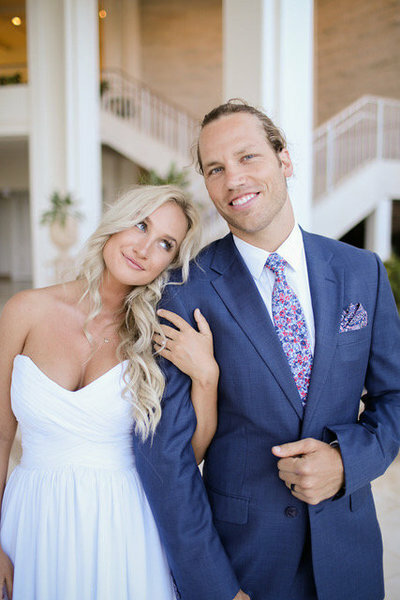 Known for our impeccably elegant and imaginative destination weddings since 2003, you can rest assured that every detail of your big day will be carefully orchestrated, beautifully designed, and thoughtfully personalized every step of the way. The next chapter of your love story begins here...we'll be here to help you illustrate the details. For 15 years, we've been designing destinations for couples all over the world. 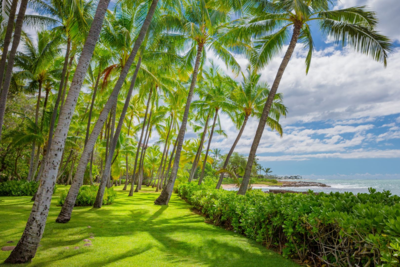 Our boutique venues are located at the Four Seasons on the west side Oahu, Hawaii about 20 mins from Honolulu – the main airport of the Hawaiian Islands. 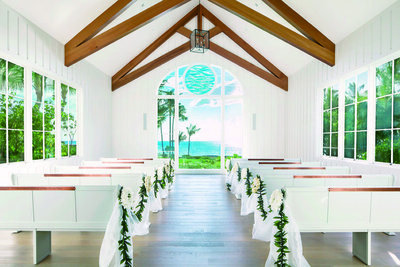 At this location, we have two primary ceremony venues; the Royal Chapel and the Oceanview Gardens & Ballrooms. We also have several reception areas to choose from according to your party size and desired mood. Ask your planner about your various options. 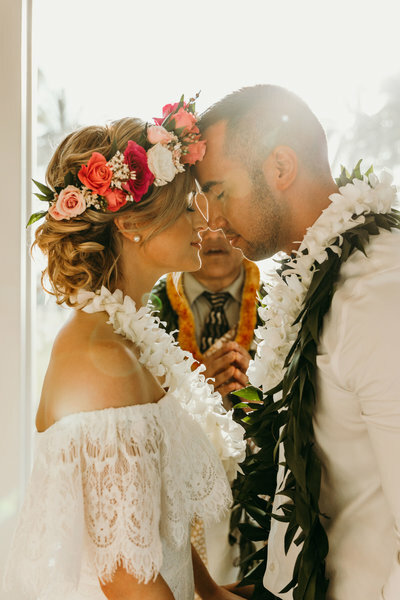 If you're looking to plan your big day with professionals who will embrace you and your guests with Aloha while executing your plan with elegance and precision – we're the planners for you. When Arluis plans your wedding, you can be sure that every detail meaningful to you will be treated with tremendous care and support. 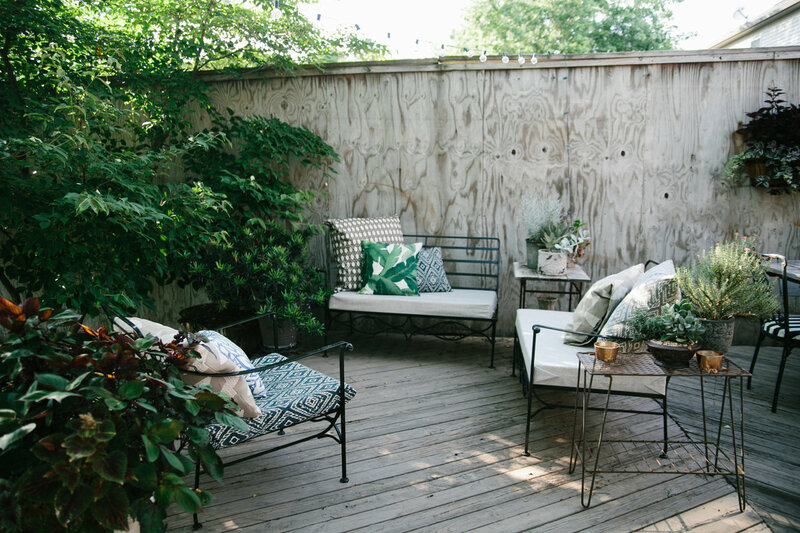 Through each step of the planning process, your dedicated coordinator will become like the masterful, creative friend you always wanted – organizing your big day with compssion and superb precision. With our availability, it's a good idea to inquire about Three months before your wedding. Space is limited so be sure to inquire about your date soon! 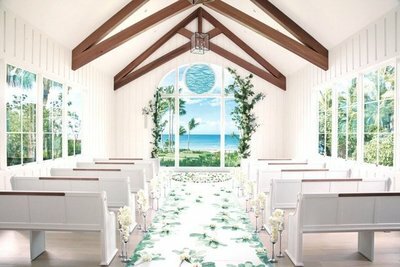 The boundless blue sky and the ocean is in front of the wedding aisle, the beautiful seashell chandelier shining gently in the chapel, and Hawaii's natural grace. 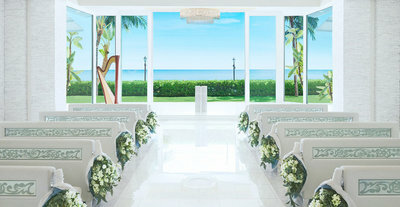 Stunning ocean views of Waikiki beach right in front and a dazzling crystal chandelier shining in the chapel space for the couple to promise love forever. 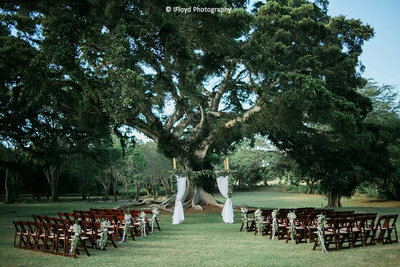 Whatever your dreams are for the perfect Hawaii beach wedding, the facilities at Hawaii Polo Club can make them happen. 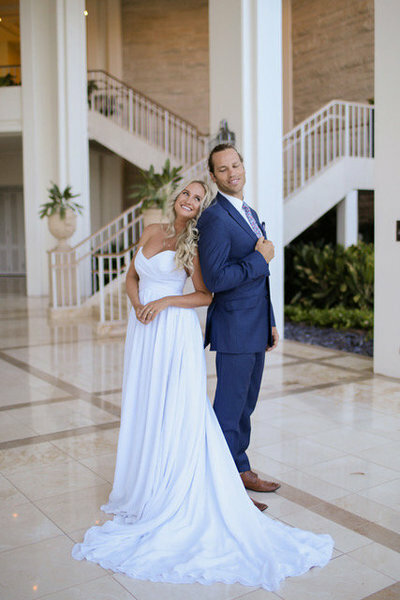 A historic property with 2,700 acres, 19 of which are oceanfront which makes Dillingham Ranch a one-of-a-kind destination for your wedding. 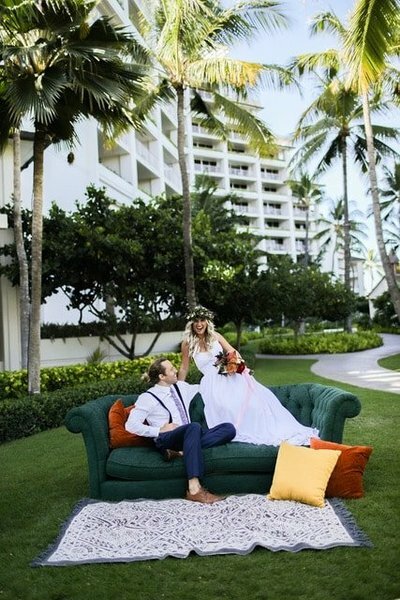 Picture your Hawaii wedding in an island paradise that captures the essence of earthly elegance and relaxed sophistication. 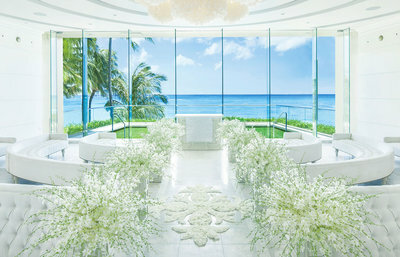 Imagine sharing your vows at the oceanfront in a tropical garden enclave, adorned with exotic flowers. 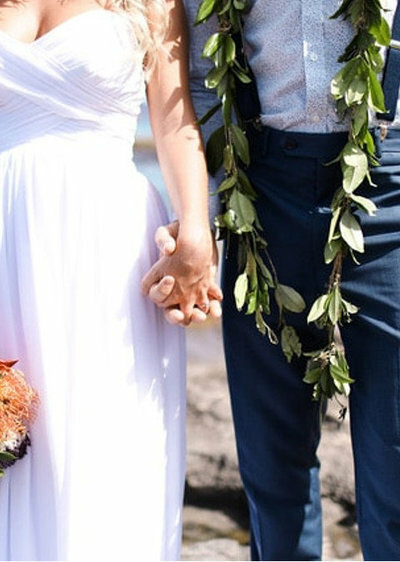 Declare your love at a private, barefoot ceremony on the beach framed by a stunning sunset over the warm Pacific Ocean. 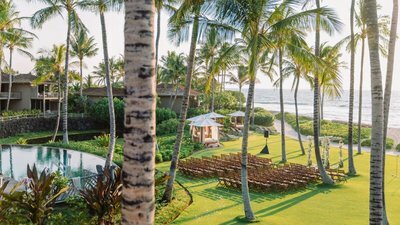 Surrounded by the sacred nature of Ko'Olina, the breathtaking ocean view is spreading beyond the altar and onto Four Seasons lanai, steps from the beach. We take great pride in curating every detail of your wedding. With the belief that their couples should only worry about making beautiful memories, Arluis Weddings strives for seamless and hassle-free weddings. 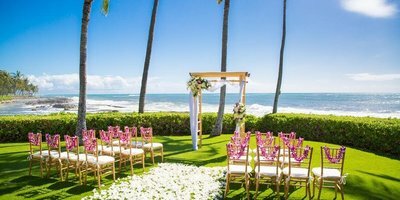 We enjoy providing attentive customer service and personalized weddings in and around Honolulu, Hawaii..
For a complimentary phone consult, please inquiry our wedding planner. We take great pride in curating every detail of your weddings so you may create beautiful memories on your special wedding day, Arluis Weddings strives for a seamless and beautiful wedding experience. We specialize in attentive customer service and personalized weddings in and around Honolulu, Hawaii. A day of wedding coordinator is available exclusively to you to manage logistics the day of your wedding to ensure that all details are executed properly. 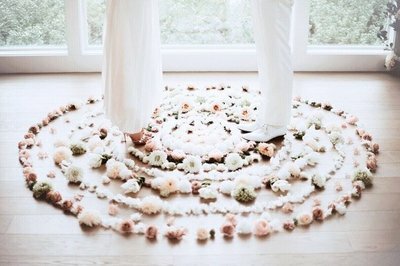 Having a professional day of wedding coordinator with you to handle the details is essential for couples fully enjoy themselves at their wedding and attend to their guests and family! For a complimentary phone consult, please inquiry our wedding experts. A day of wedding coordinator is available exclusively to you to manage logistics the day of your wedding to ensure that all details are executed properly. Having a professional day of wedding coordinator with you to handle the details is essential so you may enjoy your wedding and attend to guests and family! At Arluis, we believe planning a destination wedding should be a joyous, exciting, and flawless experience. From the grandest, to most intimate of weddings, we are dedicated to designing an experience as seamless and enjoyable as your big day will be. If you have a date or venue in mind for your wedding, drop us a line and one of our coordinators will personally reach out to you. I didn’t want a wedding coordinator, never dreamed of having one, but my God, did I need a wedding coordinator. Sally and her assistant, Nanae, were absolutely fantastic to work with. Considering all the complexities of a destination wedding, Sally and her team went above and beyond. Sally and Nanae were incredibly professional, organized, detail-oriented, diligent, experienced, and supportive. We felt like we were in such great hands. My wedding was something out of a magazine! We couldn’t have asked for a more perfect celebration. And for our Wedding Officiant: Throughout the night and for days after, our guests kept saying how much they loved our ceremony. 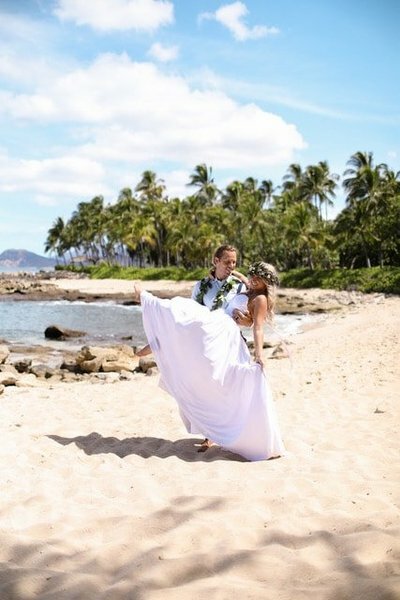 Kahu delivered the most unbelievable, authentically Hawaiian, love-filled ceremony we could have ever imagined- we are still in awe. 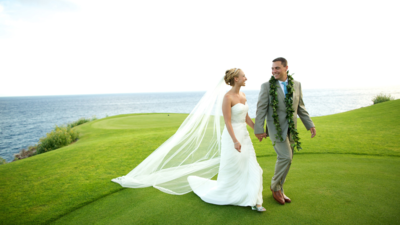 Heather reached out to us with a simple request – "We'd like to have an intimate, traditional Hawaiian wedding. Can you help?" Of course, we were thrilled and helped her plan every detail. 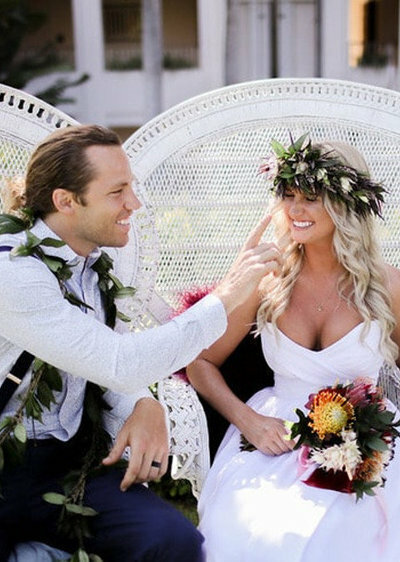 From the haku lei (flower crown) to the blowing of the Pū (conch shell), their wedding was their dream brought to life. Heather expressed her husband's family (who are from Hawaii) were delighted by the respect and creativity of the ceremony. "We were just blown away by your artistry & attention to detail."